For those of you who follow me on IG, (@robynmeacham), you know that we LOVE Disneyland. We have annual passes and were super sad when we moved to Utah. Lucky for us, we have family in Southern California that we visit often so we are still able to use them! It has been so fun watching Saylor grow and become familiar with characters and rides, and get excited about things. First, I recommend parking in the garage and WALKING to the park. SKIP THE TRAM! 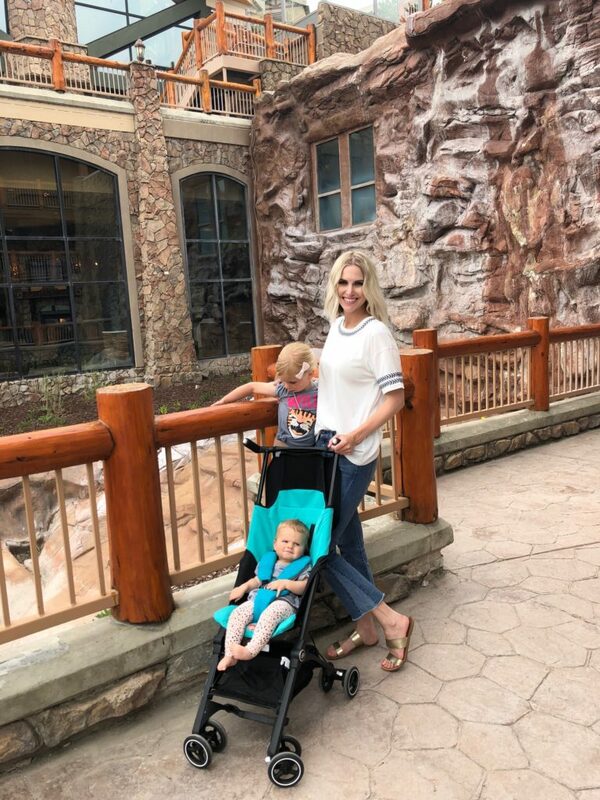 With kids and a stroller and all the stuff you bring, walking is necessary for me. On the way to the park they make you fold up your stroller, and, ain’t nobody got time for that. Honestly though, the walk is a quick 5 minute stroll and it puts you out right by bathrooms in Downtown Disney, which we always visit before entering the park! Next, CHARACTERS. Saylor always has a few that she wants to see, and I try to convince her otherwise, haha. If she insists, my go to place is ToonTown! Maybe I shouldn’t announce that publicly though, so it stays less busy! We can always find Goofy, Pluto, and of course, Minnie and Mickey in their houses if you want to wait for them. ToonTown is tucked away and less visited than all other areas of the park, so we like going back there for a little breather. You can always find characters right when you enter the park, but those lines seem to be the longest. My last tip for the day is the glorious FAST PASS! I’m sure you know what those are by now, but these are infinitely more beloved with having a kid. Saylor’s favorite ride for the past year has been the Buzz Lightyear right in TomorrowLand, the one across from Star Tours. The line is always at least 30 minutes and it is all outside. No thank you! The first thing we do when we enter the park is go straight there and get a fast pass! You get an assigned time to come back to the ride and bypass the majority of the line. HEAVEN SENT. Most of the time your assigned time is only about 1-2 hours later, so you have just the right amount of time to go find a character, hit up It’s A Small World, and/or grab a churro. That is all I have for today, but I’m sure I will do another Disneyland post another time. For all your Disney lovers, what are some of your TIPS for when visiting the park?! Share your knowledge! Hi all! Life, like always, has been busy around here. This past weekend we spent some time in Jackson Hole, WY. Our good friends have a condo there, so we stayed with them. They are about 5 minutes past actual “downtown” Jackson Hole (you know, where the famous antler arches are), right at the base of the gorgeous Tetons. It is always so nice to get away, spend some time together as a family, and enjoy nature! We didn’t have much planned, aside from a sleigh ride through the Elk Refuge! Although we have been to Jackson Hole a few times, we have never done this before. I highly recommend it! And definitely do it when it is sunny and (warmer) out, as soon as that sun goes down the slightest bit or the wind kicks up, it gets FREEZING! Luckily they have blankets on each sleigh for everyone to use. Now when I say sleigh, its basically a large wagon pulled by 2 horses, so don’t get confused, haha! Saylor loved being able to see loads of “elks” and being pulled by horsies. On the refuge there are many different types of animals besides elk; bison, wolves, bald eagles…we only saw elk though. Tickets for this run about $20/adult, $15/child, and 4 years old and under are free! After the sleigh ride we ventured back into town and went to a nice dinner at the Million Dollar Cowboy Steakhouse. If you are familiar with Jackson Hole, you know the Million Dollar Cowboy Bar, you can’t miss it. It is right in the heart of town, but the restaurant is sort of hidden. You walk in to the bar part of the place, and you have to go down stairs basically into the basement for the restaurant. This was my first time there, and because it was at a bar, I didn’t have very high expectations. Boy was I WRONG! This place is incredible. If you don’t eat meat, just disregard this whole paragraph, as that is basically all that is on their menu. Ok so this place is fancy. Like be prepared to spend more than you would than at your average Red Robin. We decided just to go all out and get some yummy appetizers and a few steaks. Best Tuna Poke and Creamed Spinach ever! I would go back there again just for those 2 starter dishes. I myself am actually not a big meat eater, and they especially had a lot of “gamey” meat, like buffalo and deer. I wish I had pictures, but I’m terrible about taking pictures and really trying to be better! 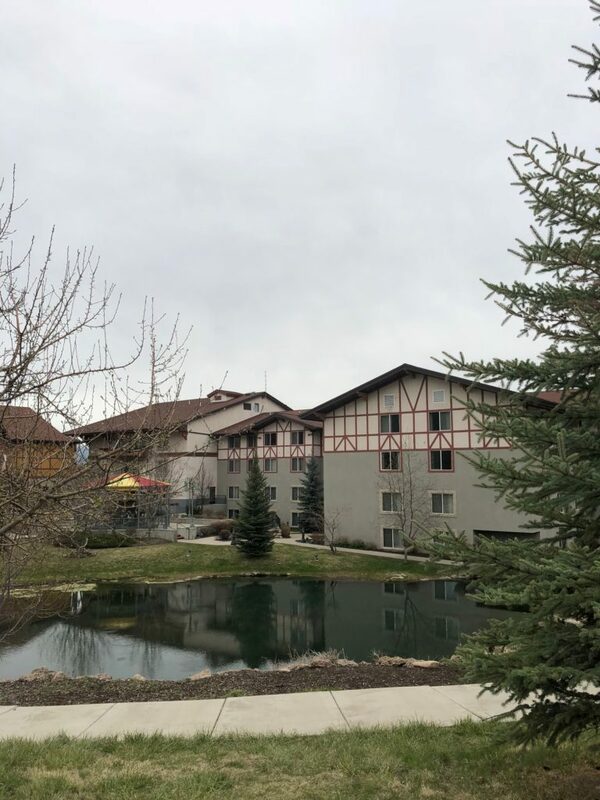 Everything seems so fresh and clean in Jackson Hole, the skies seem more blue, the air seems to smell better…it is one of my happy places. If you haven’t had the chance to go there, I highly recommend it! From the Salt Lake Valley it is only about a 4 hour drive, so it can easily be done! For those who have been there, what are your favorite things about Jackson Hole in the winter and summer time?